Did God Want Them to Die? Featured on the cover of the May 22, 1994 Awake! magazine are the photos of 26 children, with the caption: “Youths Who Put God First.” Inside the magazine proclaims: “In former times thousands of youths died for putting God first. They are still doing it, only today the drama is played out in hospitals and courtrooms, with blood transfusions the issue.” View a PDF of this quote. Because Watchtower Society leaders have ruled that having certain types of blood transfusion is a mortal sin, Jehovah’s Witness children are meticulously indoctrinated to believe that those who accept certain blood transfusions to save their lives will be killed by Jehovah God at Armageddon in the very near future, and worthy of everlasting death. They are also told that blood transfusions do not really save lives, but pollute recipients, give them AIDS, hepatitis and may even transfer to them the personality of a criminal blood donor. Parents are pressured to hold practice sessions with their children and rehearse answers to typical questions a judge or hospital official might ask to assess their maturity and degree of belief. 1 Not content with fear and implanted phobias, extreme coercion is also employed through Watchtower sanctioned shunning. This means failure to uphold the Watchtower’s bizarre policy will most likely result in their Witness friends being unable to greet them, talk to them or eat with them – not even close family members unless they happen to live under the same roof. Jehovah’s Witness parents are taught that if they save the lives of their children by secretly accepting a blood transfusion, God may punish them right now by making their children stillborn or kill them in the soon-to-come battle of Armageddon, when they will become manure on the ground. Until 1952, the Watchtower Society used similar rhetoric about vaccinations. Until 1980, they said the same thing about organ transplants. Now these medical practices are permitted. Those who were loyal to these Watchtower rules spilled their blood in vain. If you are a Jehovah’s Witness parent, will you sacrifice your child over this issue? If you answer yes, stop and consider how you will feel when the Watchtower finally abandons this bizarre doctrine – a doctrine that they have already gutted into a shadow of what it once was. 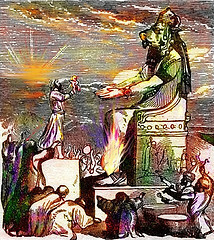 Child sacrifice for the purpose of appeasing a God isn’t something new, and has been practiced in many cultures over human history, to prove how devout a parent truly is. In Bible times the Ammonites offered child sacrifices to the god Baal. Some Bible scholars believe that the laws against child sacrifice found in the Bible (See Lev. 18:21; 20:3 and Deut. 12:30-31; 18:10) are evidence that some Israelites were involved as well. The original intent of the story of Abraham attempting to offer up his son Issac, before being stopped by an angel may well have been to put a stop to this barbaric practice. Why shouldn’t your child have the blood fraction or component they need to live when so much is already permitted? Where does the Bible explain which blood products or fractions are a matter of conscience and which are not? The simple and obvious answer is that it has nothing to say about the use of blood components. We implore you as a Jehovah’s Witness parent – please do not let your child’s picture end up on this web page as a warning to others. We ask the rest of the Jehovah’s Witness community to please work for reform of this tragic policy and stop the needless deaths of Jehovah’s Witness children. I fail to understand why their was not universal outrage over this magazines article when it was published in the countries it was distributed in . If this is not child abuse under the guise of religion , I would like to know what is. It is an established fact that two out of three children brought up in this religion leave when they mature as adults. And the added fact that their policys change every few years , means most of these children could have lived long productive lives. I knew of their objections but I never realized that so many people died as a result! Especially Children! That is horrorific and ridiculous, glad they abandoned it! While they permit use of 100% of blood when fully fractionated, they continue to ban some components that are essential in traumatic blood loss and with chronic blood disorders. 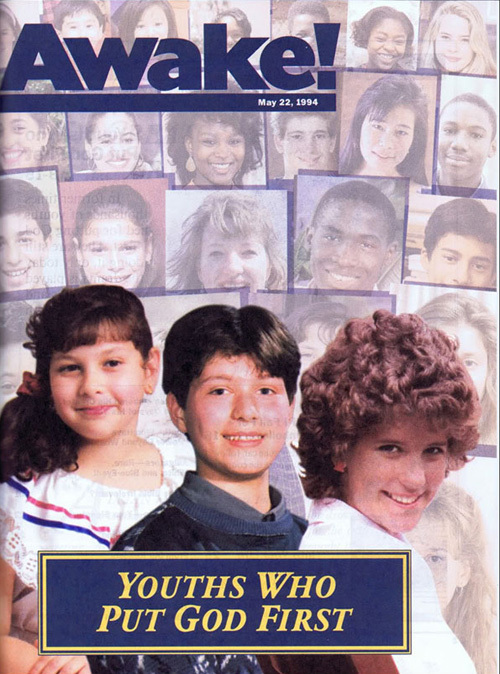 At the time this magazine was published I was a fully indoctrinated JW but even then I felt it wrong to celebrate the needless deaths of these children. Now I am fully awake and have left the JWs I see how appalling (and unscriptural) the blood policy is – especially when imposed on minors. Just sickening. The question everybody who believe that the Watchtowers blood policy has its origin from God is, Does God set bad examples for us humans…? God has created the Bat, The Leach, the Mosquito and Gnats which all sustain their lives and secure their offspring solely from humans and other animals blood. The answer to the question must be that God doesn’t set bad examples but men makes the Creation and the Scriptures in contradiction by their man made non Scriptural doctrines. The blood isn’t holy but the life itself is holy and sacred for God and humans, but the men behind the Watchtower Sociciety have maked the blood, a metaphor for life, more holy and sacred than the life itself with their shifting doctrines of men, combined with threats and sanctions, they are playing masters over others conscience and faith, in spite of what comes forth in 2 Corinthians 1:24. Thank you for all this knowledge. I grew up Jehovah witness I no longer associate myself with them but at the time I was … yes have lost some brothers and sisters because of the no blood policy.